Tamil Nadu) and / or in The Netherlands (EU). Thereafter, the students are awarded M.D. 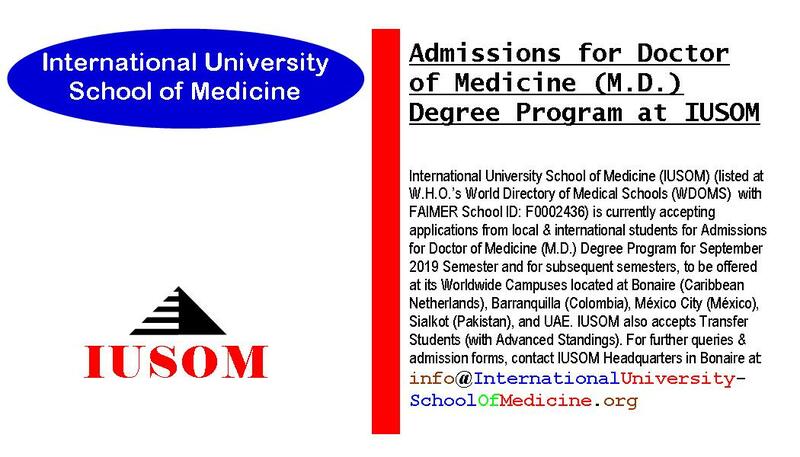 degrees by IUSOM. 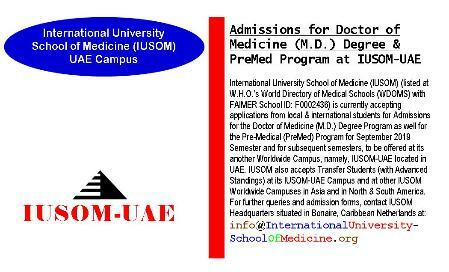 similar exams, depending upon their final destination of medical practice after acquiring their M.D. Degrees. * Students can choose any one or two of these listed Elective Medicine Clinical Rotations. ** Students can choose any one or two of these listed Elective Surgery Clinical Rotations & HOME and AWAY Electives. IUSOM, click here, whereas AWAY and HOME Clinical Electives Curriculum can be viewed by clicking here.